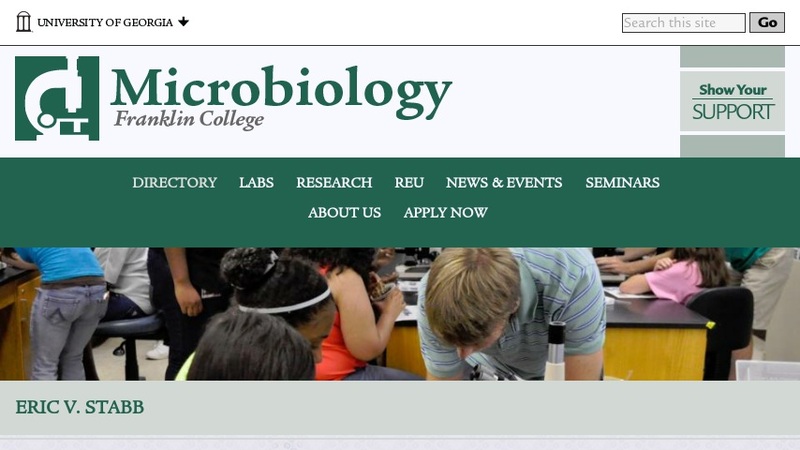 This University of Georgia faculty page features Eric V. Stabb, Assistant Professor of Microbiology. His research focuses on the light organ symbiosis between the bacterium Vibrio fischeri and the Hawaiian squid Euprymna scolopes as a model for understanding natural bacteria-animal interactions. The page includes an overview of his research, contact information, a PubMed link to publications, and a link to his CV.